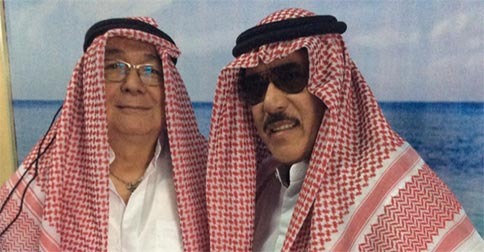 (SPOT.ph) While you were probably busy with all the Halloween revelry over the weekend, Eat Bulaga hosts Joey de Leon and Tito Sotto were at the center of yet another controversy. During the Halloween special of the noontime show, both hosts appeared on the program wearing Muslim garb. The two quickly drew flak over their costume choice, with many calling it "disgusting," "shameful," "racist," and "insensitive." In a Facebook post, Governor Mujiv Hataman of the Autonomous Region in Muslim Mindanao (ARMM) has called for the hosts to issue a public apology. "This display betrays an insensitivity by these hosts, as they equated the Muslim garb as a costume to be feared, in the way that zombies and ghouls are to be feared," said the statement. He continued, "We remind the hosts and the producers of the show of how Muslims are quite often discriminated against in our society, often stereotyped as troublemakers and terrorists." He cited a previous instance where the NBI was heavily criticized for describing a suspected terrorist as "Muslim-type" in an artist's sketch. Still, many fans of the show defended Sotto and de Leon; Some accused people of being "too sensitive" while others claimed that plenty of Muslims do not find it offensive. This scenario, unfortunately, isn't new. For instance, Native Americans repeatedly cry foul over non-Native Americans who wear Indian costumes (which are sacred and carry deeper meaning for Native American people). In May this year, Khloe Kardashian came under fire for wearing a Muslim veil called a niqab. In 2013, Lady Gaga was slammed for wearing a burqa as a "fashion statement" and then releasing a song that eroticized the traditional garment. Eat Bulaga has yet to release a statement.